When Iris was in middle school at Rincon Valley Middle School, she realized her adoration for the game of volleyball. Iris played throughout middle school and into her high school years at Santa Rosa High. After graduating from high school Iris continued to play and sharpen her skills. She played for a local recreational league here in Sonoma County for sixteen years on the same team. Iris began her coaching career at Rincon Valley Charter School. Here she spent eight years coaching co-ed teams at the 7th and 8th grade levels. 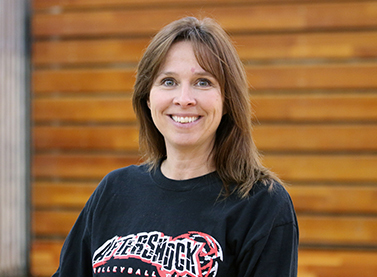 In 2010 Iris joined the Aftershock Volleyball Club Coaching Staff when her daughter became an Aftershock player. Iris has been a Coach with Aftershock for the past three years. She has coached our 12 and under and 14 and under divisions and has enjoyed every minute of her time here with us.